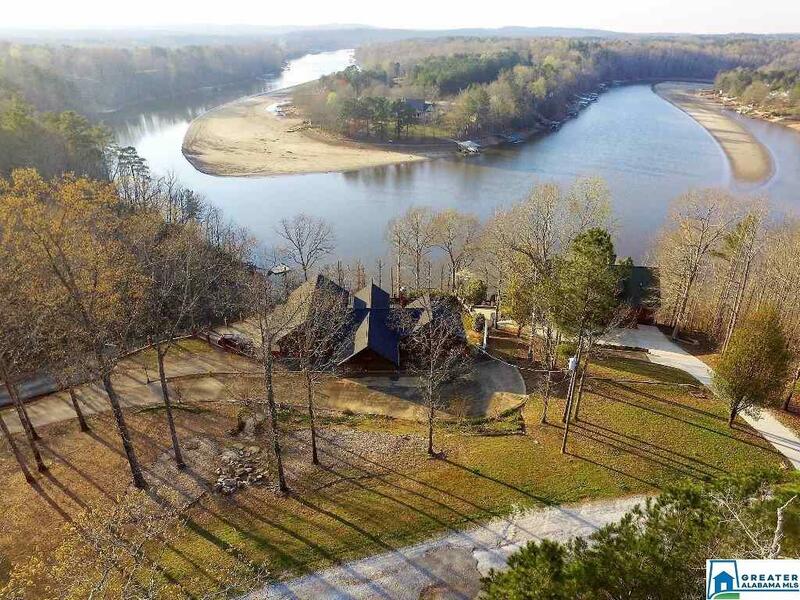 This custom built home on Lake Wedowee is large enough for your entire family! The open floor plan features a large gourmet kitchen with an eat-in bar, a two-story great room, masonry fireplace , and 3 master suites on the main level! Upstairs you will find a family room loft, a split bedroom plan with a master bedroom and 2 additional bedrooms with a large jack-n-Jill bathroom. Outside, the oversized back porch is perfect for entertaining or enjoying sunsets unlike any other on Lake Wedowee. The poured driveway to the 2 story stationary dock allows you the convenience of being just a few steps to the waters edge. This extraordinary find has EVERYTHING to offer! Contact The Mainstreet Team at Hunter Bend Realty for your private showing!! !